I’ve said before that eggs are one of my favorite foods. 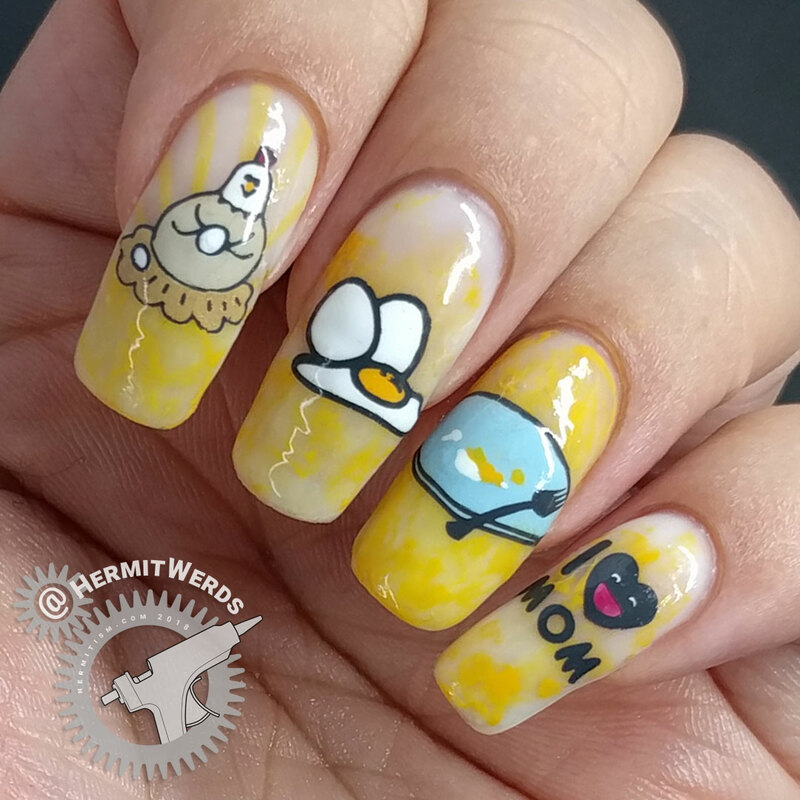 Today I have another silly mani to celebrate that delicious food. 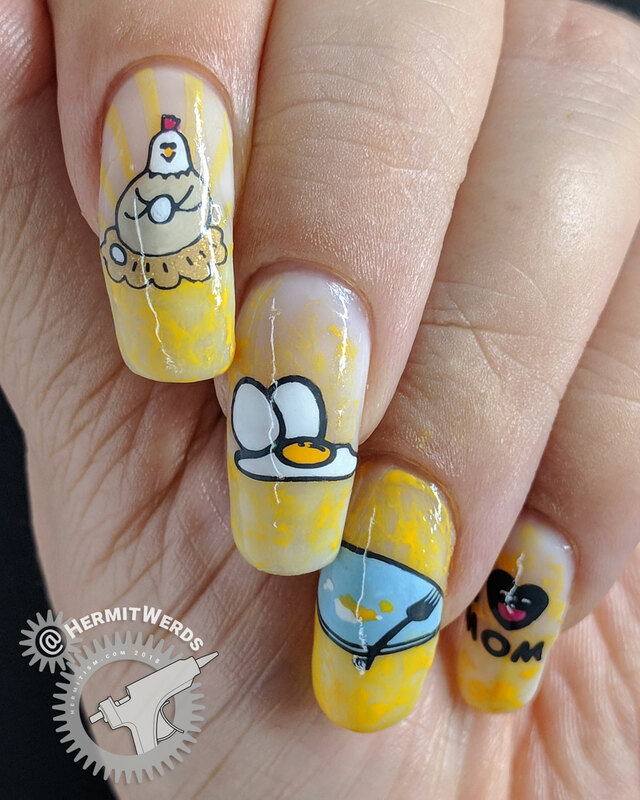 I’d originally planned to post this on Mother’s Day since hens are moms, but I ended up being too busy hanging out with my own mother the day before to paint it in time. I painted it anyway and decided to post it now for #Clairestelle8’s Farm Life prompt because holding onto it for nearly a whole year felt silly. Reusable opal white gel base with a little Covergirl’s Outlast “Goldilocks” sponged on top. 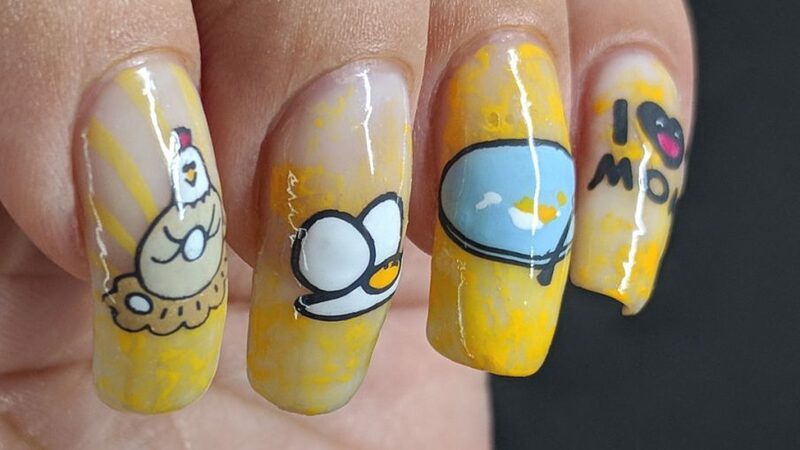 This is a pretty basic mani if you’re used to filling in stamping decals a lot, but I did have to remove some extra lines on the plate since it was originally full of food. This also marks the second time I used the opal white gel with some sponged on yellow. It’s a fantastic combination.